According to a recent news report from the Boston Globe, a 34-year-old man from Western Massachusetts was killed in a single-vehicle car accident. Authorities say he was driving a 2000 Nissan Maxima when he lost control. His vehicle hit a large wood utility pole and then ran into a tree on the right side of the roadway. This accident occurred around 11:45 p.m. near Route 20 in Brimfield. Authorities do not know why the vehicle lost control and are continuing to investigate the cause of the fatal car accident. Cases involving only a single vehicle may require far more investigation than police are often willing to perform. This is not to blame police, as they have many important duties to perform and may lack resources and personnel to fully investigate every car accident. In situations such as these, since there is no other victim claiming negligence, or accusing someone of drunk driving, officers may simply conclude an investigation when cause is unknown, or in worst cases, assume it was driver error. However, there are often other reasons for a single-vehicle crash as our Boston car accident attorneys have seen. In some cases, it wasn’t really single-vehicle accident. It may have been a single-vehicle crash, but that does not necessary mean another vehicle wasn’t the reason victim’s car crashed. In some accidents, a negligent driver will swerve or drive in some other erratic manner causing other drivers to take evasive action to avoid a crash. While the point of the evasive action was to avoid a collision with at-fault driver’s car, they may not be so lucky, and may crash into a guardrail or utility pole. Obviously, if the victim survives an accident such as this, he or she can tell police what happened, and hopefully the other driver can be found and held responsible. If victim was killed as result of this type of accident, more investigation will be needed, and this is where an experienced car accident lawyer with a skilled investigator can be of assistance with appropriate facts and circumstances. Another reason for a single-vehicle car accident, other than driver negligence, is a mechanical defect before the collision. 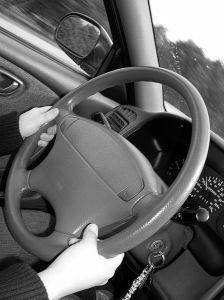 If a vehicle had a problem with a tire, wheel, or steering linkage, this can result in a crash. However, while police are going to perform some type of investigation, performing a mechanical analysis is not necessarily going to be in their budget. It may be up to the family to hire an accident reconstruction specialist to look over the vehicle, and this may be something with which an accident attorney can assist. This is not to say every car accident is someone else’s fault, or even driver’s fault for that matter. Sometimes an accident truly is an accident, and, while unfortunate, there is not a valid car accident case. Every case is different, and you should speak with an attorney about what happened and learn if you have a valid personal injury lawsuit as soon as possible following the accident.